6 or more: $13.99 ea. 11 or more: $11.99 ea. 21 or more: $10.99 ea. Stand next to Adam while he stares with wide-eyed wonder at all of God's creation--including Eve! Stride beside David, watching his fear shift into confidence as he reaches into a leather pouch to grab one smooth stone. Wade into the Jordan River with John the Baptist--who keeps peering past the crowd to search for the promised Messiah. Look into the forgiving eyes of Stephen as a furious mob hurls rocks through the air to kill him. 3. Wow! Watch the character's trading card come to life! Jeff White is a lead content developer for Group Publishing, where he’s written or co-written 15 books for church ministry and faith development. He has a passion for helping people grow their creativity, and leads creativity workshops at ministry conferences around the country. A graduate of Biola University, Jeff has also published several books for young readers, including The Runaway Candy Cane. David Harrington's love for art began at an early age when he drew on everything, eventually leading to a career in illustration at the Art Center College of Design in Pasadena, where he earned a BFA with honors. David has illustrated numerous children's books and enjoys snowboarding, surfing, and spending time with his wife and children in Laguna Hills, California. Reflections from each Bible character — helping kids notice how God’s love touches their own lives. Beautiful illustrations from artist David Harrington—making this Bible a visual treat. 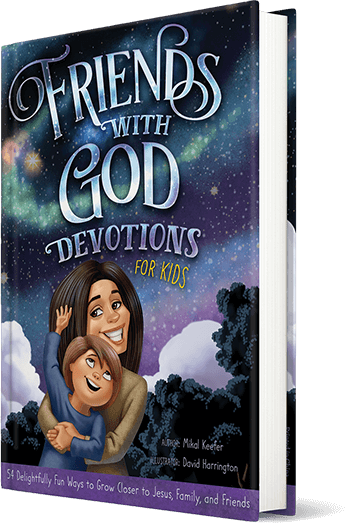 Watch as kids’ faith grows as they draw close to the God who loves them and calls them his friend, too. Come face-to-face with Bible-times friends of God. 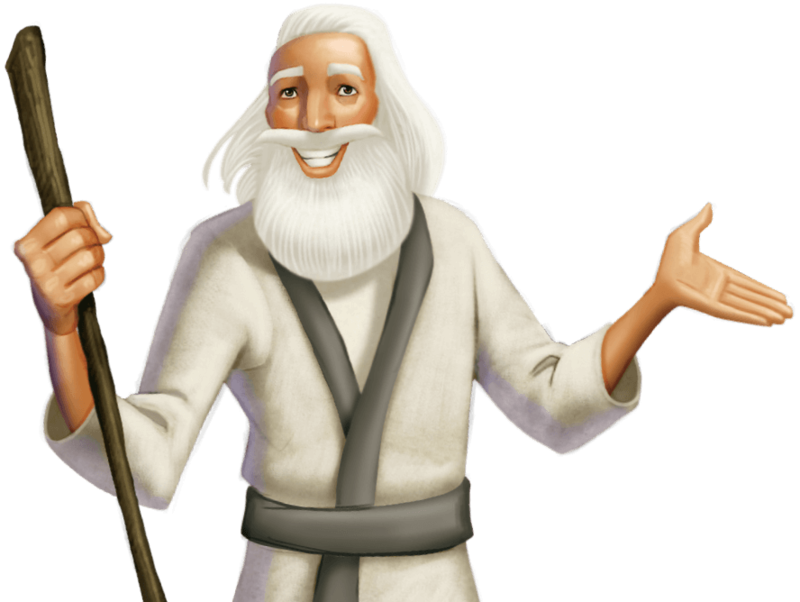 Scattered throughout the pages of the Friends with God Story Bible, digital triggers unlock mobile games so you can win virtual collectable cards with entertaining facts about Bible characters. Plus, you’ll get a devotional card with a fun idea you can talk about with your family. With your parent’s help, download the free app available in iTunes and Google Play. "I was immediately disappointed when I flipped through the first story (via online view). The artwork is inaccurate and reflective of White American society. Why are Adam and Eve White, extremely good looking, and perfect in form? 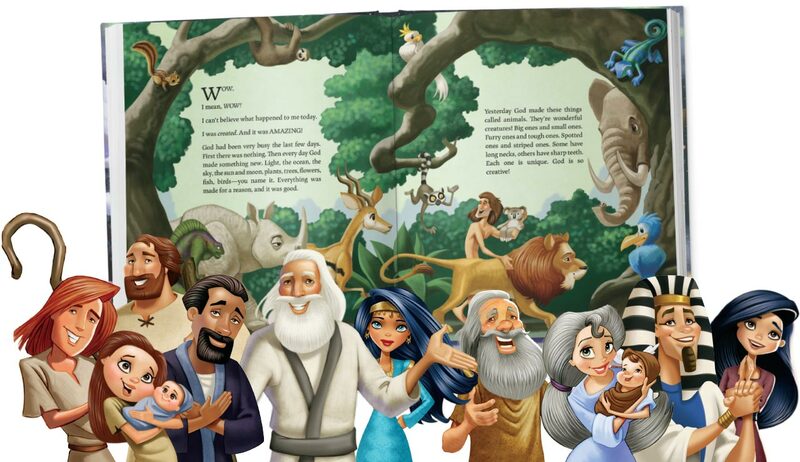 I do not want my kids reading a Bible whose characters depict societal standards of beauty. Faith should be the last place we impose these standards. The author, illustrator, and publisher should have been intentional about this. " "What an amazing story Bible for kids. I’ve never seen anything like it. The first-person Bible stories make it come to life in such an amazing way. The artwork is the icing on the cake. I don’t know who is more excited to read through this Bible between me and my kids. " "The illustrations are incredible, but that's not the only thing that makes you want to keep reading more! And isn't that what we want for our kids, to read more of the Bible? It invites you in, the tag line says so much - "Why God Loves People Like Me". The way that these stories are written connects you directly with 54 Bible characters because the story is told from their perspective! 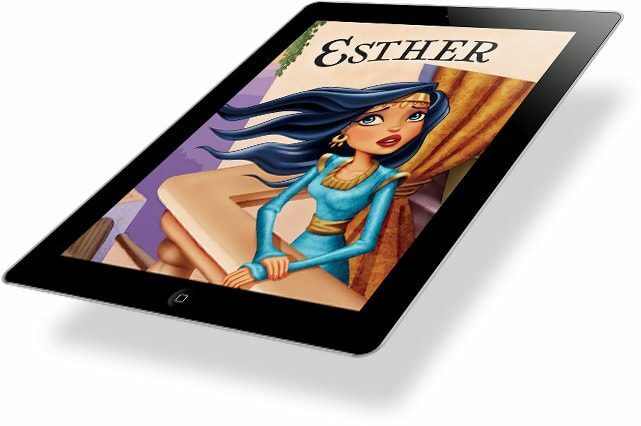 Each story shows God's relationship with them & we get a face to face with each character!" "I just received this Bible yesterday and I have to say I am so impressed. I love it! I have a great collection of Children's Bibles published over the last 200 years and for our modern day, this is the best I have seen. Children are so visual, and the illustrations depict the kind of emotion that I would want my grandchildren to associate with these stories, and the beautiful artwork will be loved by my elementary students. The story choices are excellent; often I see a children's Bible and wond"
"This may be my new favorite! Storytelling can fuel a child's imagination and imagination is beneficial to their growth and development. The Bible is filled with rich history and truth and this story bible provides that first person narrative which gives us that sense of closeness and relatability to the people God used. Story examples: Miriam holds her breath and watches as her baby brother is spared from death and danger; Deborah chose to act wisely while others around her acted foolishly; and"